It is not unusual to dream about owning expensive things or travelling around the world in return for many years of working hard. What may be inappropriate (or even sinful) is when we despise others for being able to afford these luxuries and “seemingly unessential” matters, finding it unfair that we are not able to enjoy the same, thus making us unhappy with our lot to the extent of even blaming God at times. However, there are some people who see beyond these worldly gifts. A perfect example of such was my Lolo (grandfather) Fidel Reantaso. Despite all the conveniences and extravagant things that the world may offer, my Lolo Fidel was a perfect example of someone who enjoyed a life of simplicity, who understood his mission in life, and was content with what God provided him – the essentials for his life’s purpose. My Lolo was born with a congenital eye disease that prevented him from pursuing normal studies and whatever rewarding career he could have dreamt of. Having an inborn ailment can shatter a person and even make him bitter towards God but my Lolo was not that kind of person. He did not complain and was happy and content with whatever was provided him. This attitude he exuded and successfully shared with his family and people around him. He managed to somehow go through his elementary years but his poor eyesight greatly hampered his further studies. With this incapacity, he concentrated his efforts on building his strength of character and religious piety. He was successful in his own unique way. Given the inability to pursue normal studies, Lolo Fidel became an errand boy of his parents who owned a sari-sari (variety) store during the Japanese-American war. Lolo met my Lola Doring, a local seamstress who worked in the neighborhood dress shop located in front of their house. Their love blossomed until they eventually decided to get married even if it was at the height of the (Second World) War and the usual preparations for a wedding ceremony were difficult to undertake. They just ran inside the Binondo Church with two friends who stood as sponsors, contacted the monsignor of the parish (who incidentally was his uncle), and got married, all to the “tune” of gunshots being fired outside the church! The reception was a simple meal in a nearby restaurant with only the five of them present (priest-uncle included). Their union wasn’t exactly (financially) blissful as they struggled to make ends meet. Lolo Fidel, despite his eye deficiency, was able to earn a living as a factory worker in a textile company, where he held the distinction of having the fewest absences when he retired after decades of working. Lola Doring continued to work as a seamstress to augment the family income. As their joint earnings still weren’t enough, they were financially supported by Lolo’s parents especially when it came to their children’s educational needs. In addition to financial difficulties, they had to endure the stress and sadness of losing a daughter during the War, and then a son several years later. Throughout these trials, their faith endured, strengthening their character and their dedication to God. Eventually they were able to support their three children through college, until they each became successful in their respective fields. In the year 2002, Lola Doring, at the age of 90, went Home ahead of Lolo Fidel due to a heart ailment. Having been with Lola for 58 years, this was another challenge. From then on, he had to depend on the support of his children and their families to sustain him daily. He felt at home in any of his children’s households, and was blessed with a comfortable life given his relatively simple needs. He was even provided with a professional caregiver for 24/7 attention and medical support. While there were a number of them in succession, all commented that Lolo was not a difficult patient to care for. He was easy to please and was even constantly mindful of the caregivers’ welfare as well. In his old age, a personal strength of Lolo’s was his sharp memory which never failed to amaze or amuse people. He could recall telephone numbers, exact birth dates, people’s names, and the number of his grandchildren and great-grandchildren, including all their nicknames and unique personalities. 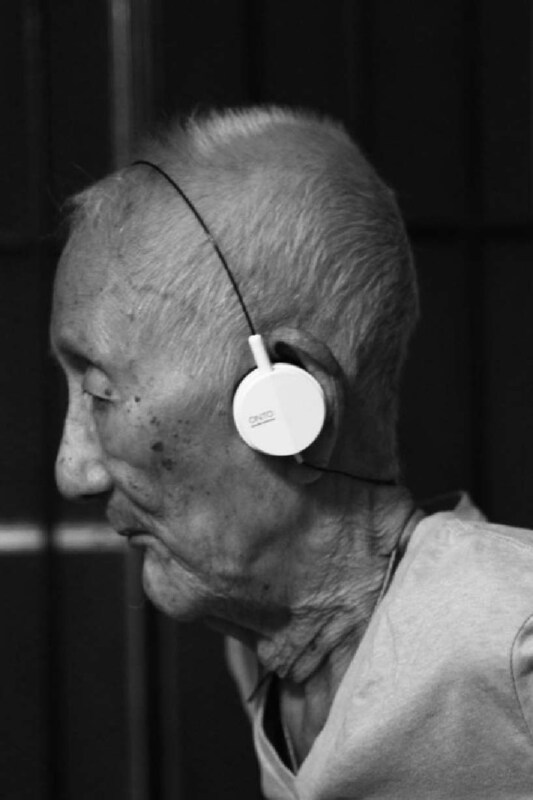 In his old age, Lolo Fidel found satisfaction in walking around the house (part of his cardio exercise), and listening to old songs or the AM radio while sitting in his “tumba-tumba” – his rocking chair. He was not dependent on others to make him happy. As long as he was able to do these simple things everyday, he never complained. Ask him about current news and he would update you on the latest, from weather forecasts to showbiz tsismis (gossip). And of course, Lolo Fidel – true to his name – remained faithful to his religious duties, hearing Mass and receiving Holy Communion at home, or in church whenever able. There will come a time in our lives when our physical body will start to give up. In Lolo Fidel’s case, that time came on his 98th year. Although he still had no major ailments, he was hospitalized for chronic pneumonia. He was very fortunate and blessed to have two priests for his last Confession and Anointing. One of these was Fr. Rolly Agustin, Lolo Fidel’s “suking pari” (regular priest) because he frequently administered the Eucharist to Lolo. 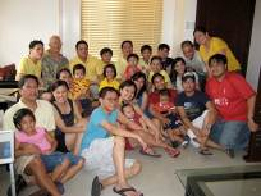 God gave Lolo Fidel the grace of being able to bid his family goodbye. Fully conscious and lucid till the end, he was able to say goodbye to some relatives over the phone, and was even able to humorously impart his last wishes to the immediate family who were present at his hospital bedside. When Lolo Fidel claimed to have seen Lola Doring and his parents (Lolo Gavino and Lola Maria) we realized that he was already pretty much transitioning to his next stage in life. 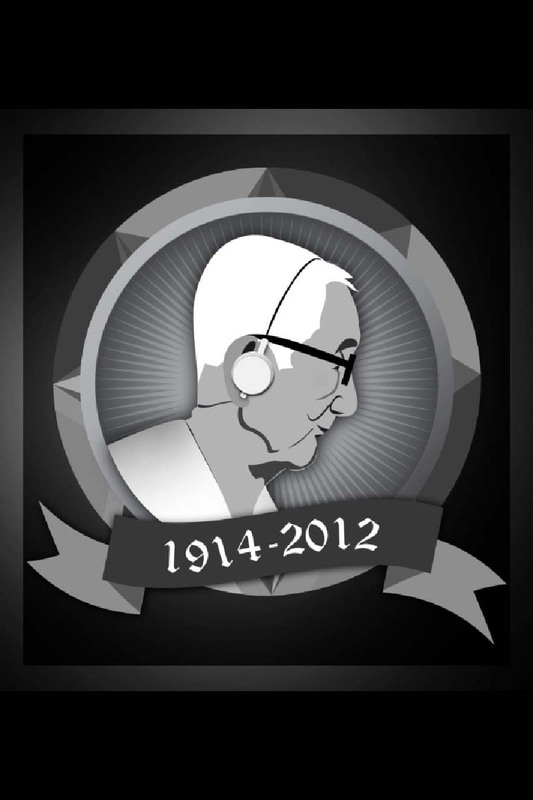 Lolo passed away peacefully in the company of his caregiver last November 2012. 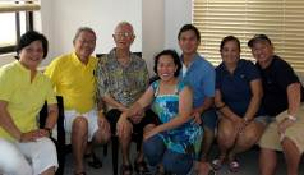 The caregiver comforted us by saying that Lolo did not suffer any further during his last moments. He was just like a “battery that simply died down”. Lolo Fidel was holding on to his Rosary and scapular until the end. For 98 years, Fidel G. Reantaso lived a simple life. His seemingly “limited world” proved to be God’s way of sanctifying him so he could be an example of simplicity to many. Whatever “insufficiency” he may have had in terms of material possessions, scholastic attainment, and professional achievements, was compensated by a wealth of God’s graces throughout a very long life filled with love and compassion from people surrounding him. Well-satisfied and thankful for everything that he had been given, for us whom Lolo Fidel left behind, he was truly a class act and a difficult one to follow. Click here to return from Grandfather Story to Inspirational Stories.